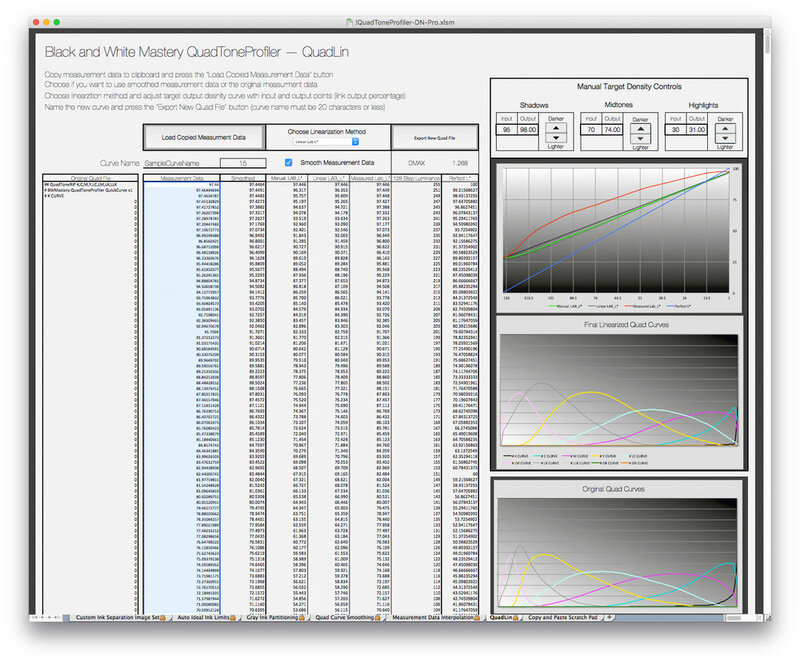 Last year I released my QuadToneProfiler system for straight inkjet positive prints that used a combination of automated spreadsheet formulas and the standard QuadTone RIP curve creation program. 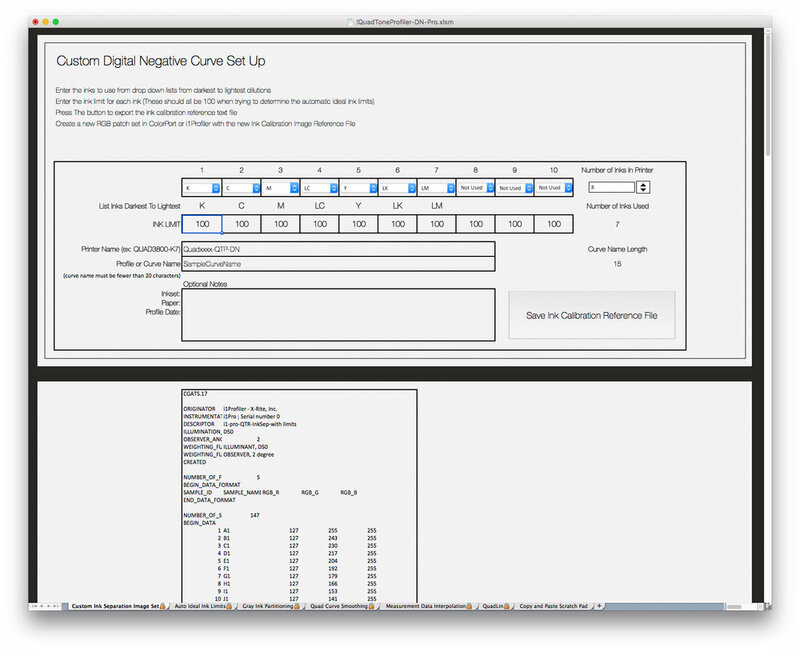 Now, I am taking that to the next level with a digital negative curve creation system. 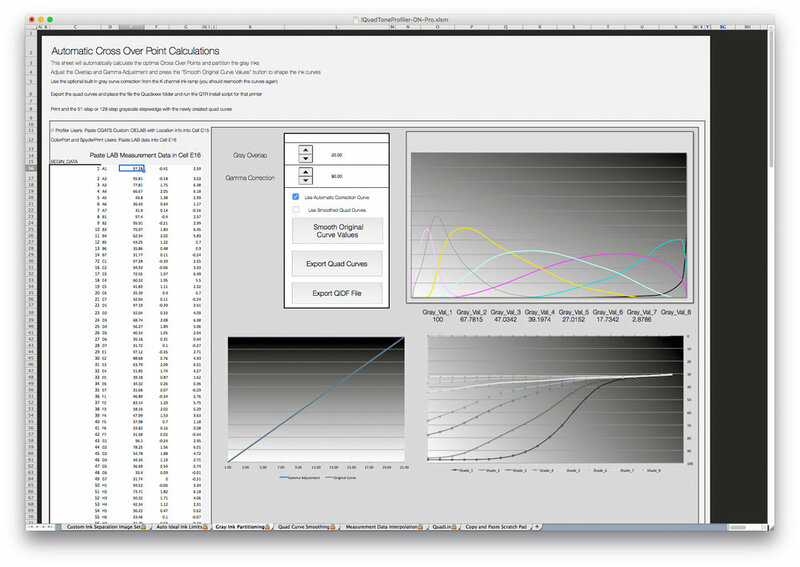 This new set of profiling tools takes all the great automated lookup and correction curve features from the original QuadToneProfiler tools and streamlines it even further by using my exclusive partitioning and linearization system. This now means the entire profiling process can be done without using the QuadToneRIP curve creation program at all. That also means no more need for ink descriptor text files or the headache of curve compiling errors (Lab values out of order anyone?). And, for people who bought the deluxe edition of the positive print version: stay tuned. it means no more needing to open your .quad files in a text editor (and whole lot less copying and pasting in general). This system is geared toward the people who are working with multi-gray ink sets (with 4 or more gray ink shades) who want to get the highest quality prints out of their digital negative system, but who also want the flexibility to create an ink sets that best suit their needs. If you are using a standard Epson UltraChrome K3 ink set then this one is not for you. You really want the QuickCurve-DN system instead. However, if you aren't so happy with it, or if you have a wonky printer, or if you mixed up your inks when refilling (because we’ve all been there… ) Well, then this is probably the solution for you. If you are using any custom ink set like the one Sandy King developed for 8 diluted Epson PK, LK, and LLK inks and are making your own QTR curves then you will LOVE this. Well, the nuts and bolts are kinda a secret (and just a little boring… ) but basically, you measure three targets, input the measurement data, and the profiler does all the hard work for you. You want more detail, don’t you? Ok, so it is all built around custom ink calibration images that you print and measure. 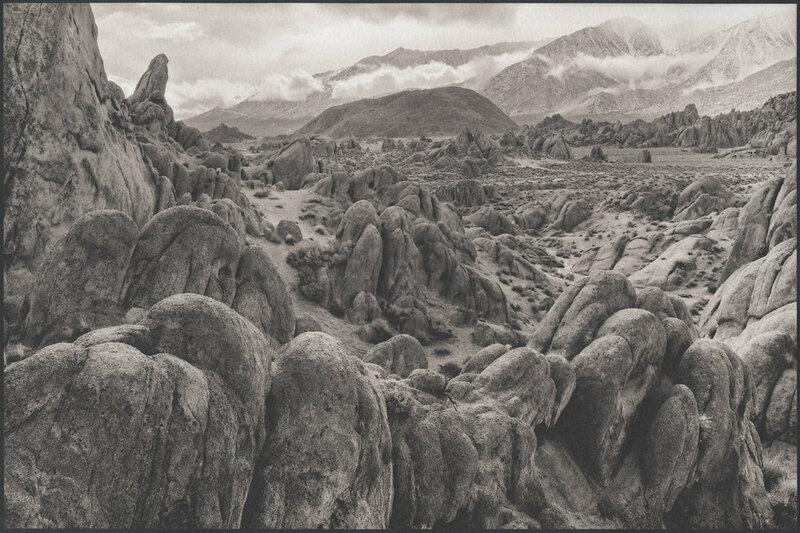 The first target is to determine how much ink you need from each channel to evenly divide the grayscale. The measurements from that print are used to create a second ink calibration negative that you print and measure. So now you have an initial media setting that can be linearized with the included 21, 51, or 128 step negative. There is a little behind the scenes action that turns the 21 or 51 steps into 128 steps for the actual linearization calculations. You print that negative in the darkroom and enter the print measurements back into the profiler system. Et voila! You now have a set of linearized QTR curves. You want to adjust the output curve? That can be done with the same measurement data without touching any QTR-droplet or qidf file. Adobe Photoshop CS4 or newer for the actions to format the calibration images. I am all in on Adobe CC and it works with the latest version. Inkjet Transparency Material. I recommend Fixxons. It holds a TON of ink, dries fast, and is really affordable.